Everybody makes mistakes every now and then. It is perfectly acceptable to make a mistake on eBay and have to cancel the transaction. The correct procedure for canceling a transaction depends on the type of transaction and how far it has progressed. The answer to the question, "Can I change my mind about an eBay sale" is "it depends." Below are some common scenarios for how to cancel an eBay sale depending on the listing type and stage of the transaction. When a buyer bids on an auction, technically, they are entering a contract to pay the final price. Unfortunately, sometimes, the buyer decides they don't want to pay. 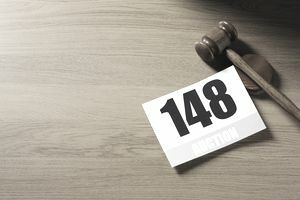 They may have found another item after placing the bid, the auction may have gone up too high and they overbid in the emotion of the auction, or the simply may have changed their mind. The buyer has a few choices here. First, they can simply not pay. But that action could result in a UPI, or Unpaid Item case. Too many of these cases against a buyer and they are suspended from eBay permanently. Another choice is for the buyer to complete a bid retraction. A buyer can easily cancel the bid if they change their mind and essentially "drop out" of the auction. This is the preferred method according to the eBay Terms of Service. If the buyer changes their mind about an eBay sale after the auction has ended, they can contact the seller and ask them to cancel the transaction. As long as the cancellation is per buyer request, most sellers will comply. Sellers have no reason to pressure a buyer to pay if the buyer no longer wants the item. A seller can offer another bidder a second chance offer or re-list the item again. The cancellation process is a little different with fixed price items. The seller has the option of placing the Immediate Payment option on the listing. If the item does not have immediate payment, you can work with the seller to cancel the transaction per your request. If the item did have immediate payment, and you have already paid for it, and the seller has not shipped it yet, you can message the seller to ask to cancel the transaction and issue a refund through Paypal. Most sellers will work with you on this issue. They do not want to deal with a return so it is in their best interests to cancel the transaction. The buyer does not get any kind of negative action on their account, and neither does the seller. However, the seller may be a bit irritated and block you, but other than that there are no negative consequences. If you sent the seller a Best Offer, and it was accepted, you will receive an invoice. If you decide you don't want to purchase the item, after all, it is best to contact the seller and explain that you no longer want the item and to cancel the transaction per buyer request. Again, there are no negative repercussions, other than an annoyed seller. Remember, sellers, sell items on eBay to make money. So when transactions are canceled, this affects the seller's bottom line. The seller may block you. There is one last scenario to consider. If you change your mind about a sale after the item is shipped, the best course of action is to contact the seller and explain that you changed your mind. When the package arrived, mark it with "return to sender" and the package will be rerouted back to the seller. Tracking will show when it is delivered. The seller may only refund the cost of the item, not shipping since you changed your mind after the item was shipped. You can also open a return request. But you will need to pay return shipping. Using the "return to sender" method keeps the package intact and the seller will receive it back exactly as they shipped it. Whenever communicating with your trading partner on eBay, always use the eBay messaging system. All messages are archived there. If eBay has to step in to help resolve a dispute or answer a question, all of the correspondence is visible to them. Keep communication on eBay so that everything between you and your seller is documented.